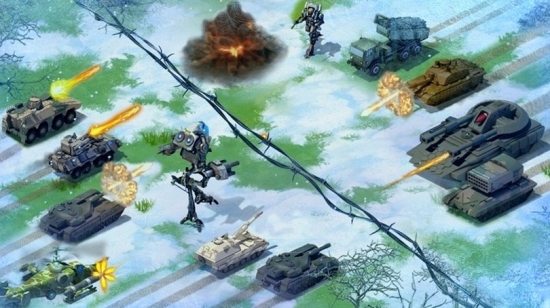 World At Arms is a free Windows 8 game that involves the combination of strategy and war. 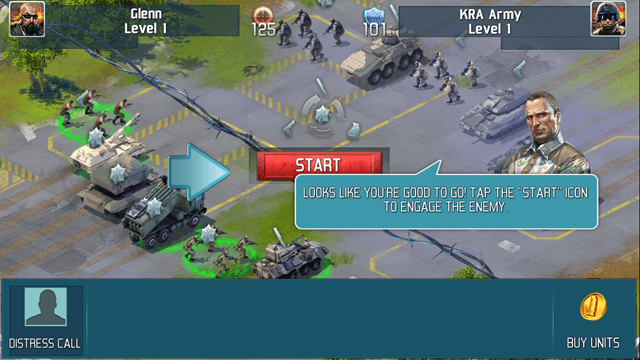 The storyline of the game is that you work for United States Armed forces, and you are being attacked by the KRA. 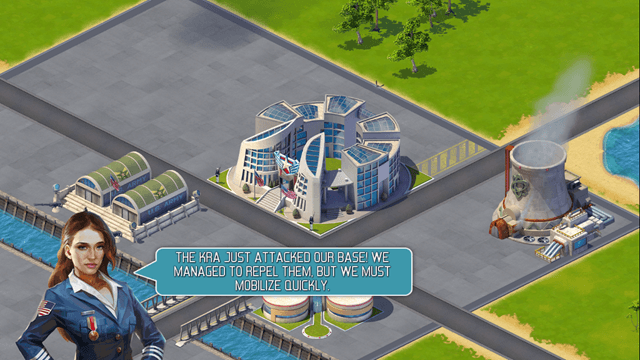 You have to defend against their attacks, and in the process, you have to construct buildings, train military, etc. Your area can be expanded by spending coins, and the game expends energy as you complete or initiate missions. These energy points recharge slowly and are usually fill within 24 hours. 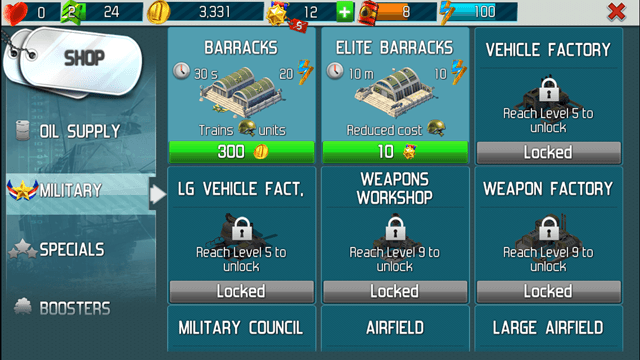 In the process, you use up coins and gold badges for purchasing weapons, military troops, etc. Battles are fought when sudden attacks of KRA are initiated, or if you have to initiate a battle with KRA. Well, that pretty much sums up the storyline of this game. World At Arms runs smoothly on Windows 8 devices, and doesn’t consume a lot of processor power. It does however drain your battery. Anyways, let us now read more about this game in detail. The game basically has mouse controls. You basically click through on all places, and there are no w-a-s-d controls involved. The game is pretty much like Farmville in theory, if you have played that before, because in this also, you basically have to put up buildings and instead of harvesting crops, you have to harvest military and soldiers. 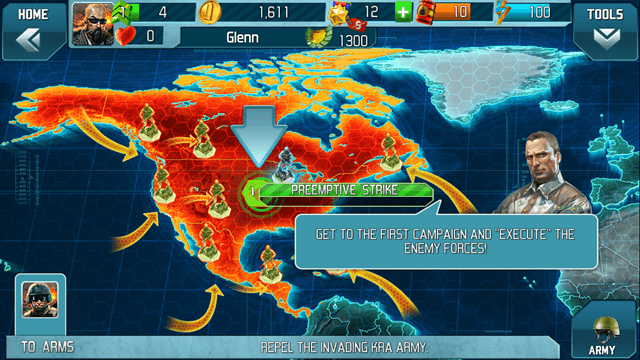 When you launch the World At Arms game on your Windows 8 device, you will be presented with a screen which resembles the following screenshot. Here, you will be given the briefing about your missions by the young lady who works with you. When you get attacked by the KRA, your army chief comes in to assist you. Here, you can set your troops against the incoming enemy by dragging and dropping them in the free positions. Battle starts when you press the START button. Once everything is done and your troops are set, initiate the battle. The troops move on their own, and to block a missile, you have to swipe through it. That is all that you need to do in the battle. 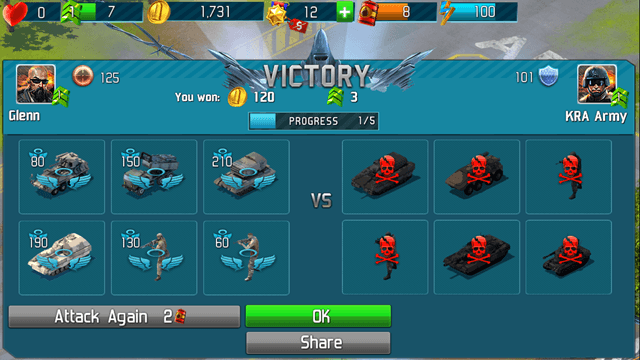 Upon victory in battle, the stats of your troops increase. In the shop, you can purchase more buildings, or weapons. You can access quests by pressing the Quest button at the top left corner of the screen. 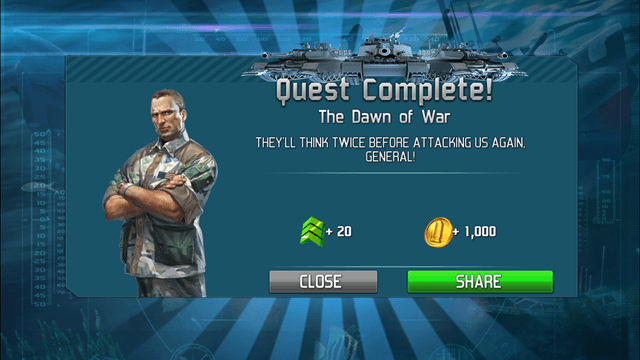 Once a quest gets completed, you get rewards like experience points and in game currency. Inside the Quest mode menu, you can choose your campaign on the map. See the above screenshot for details as to how to do it. You can click on a hotspot to start the campaign. Well, that pretty much is how you use the game, and how you play through. The objective of the game is to reach the highest possible level, have the maximum buildings, maximum area of land, etc. Also try Sock Runner and Asteroid Rider. World At Arms is a nice game to pass your time. The only downside that I feel about this game is that the size of the game is huge. Apart from that, this is the best strategy game that I have played in a long time! Do give it a shot. Get World At Arms here.